Early evening and the ancient Palazzo Candiotti in Foligno has a big smile on her face. It’s just like old times. A proper baroque banquet. 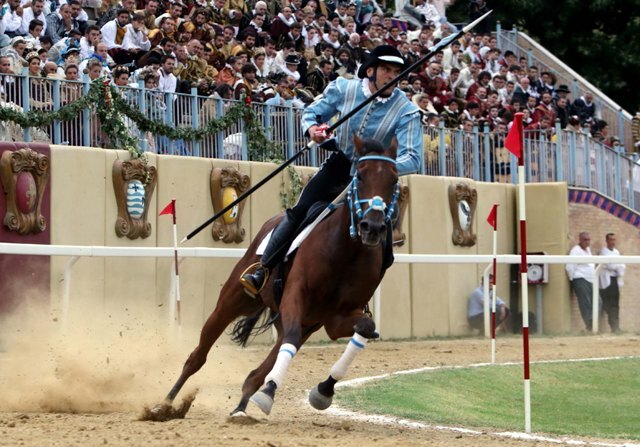 The Festa d’Oro e di Vento no less, with 250 guests commemorating the 70th anniversary of the modern Quintana joust. I can almost feel this grand old dame sighing in contentment in her Sunday best. If I didn’t know better, I would think I’d been teleported back to the 17th century. 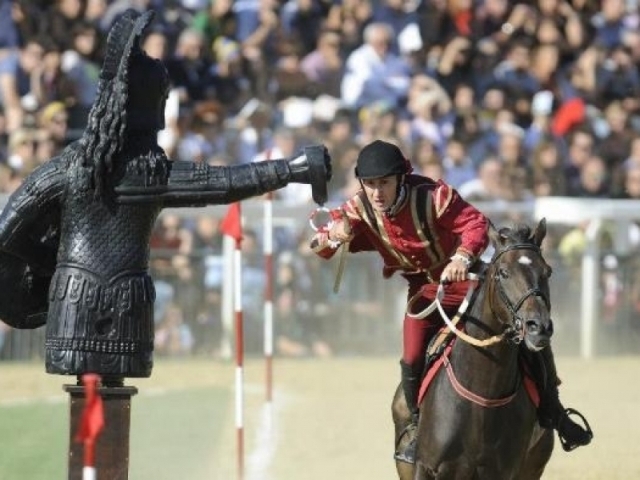 Of course, for the good people of Foligno, dressing up in baroque is perfectly normal, after all, they do it every June and September for the Quintana Joust Challenges, a tradition dating back to the 1400s. Ten knights, each representing a different district, race on horseback lancing rings hanging from the arm of a wooden statue of Mars to decide who wins the favour of the Prince. Make no mistake, this is a serious business, with the whole city out to help support their chosen knight. The district taverns are rammed, bets are laid and the streets laden with traders who only take old money of course. 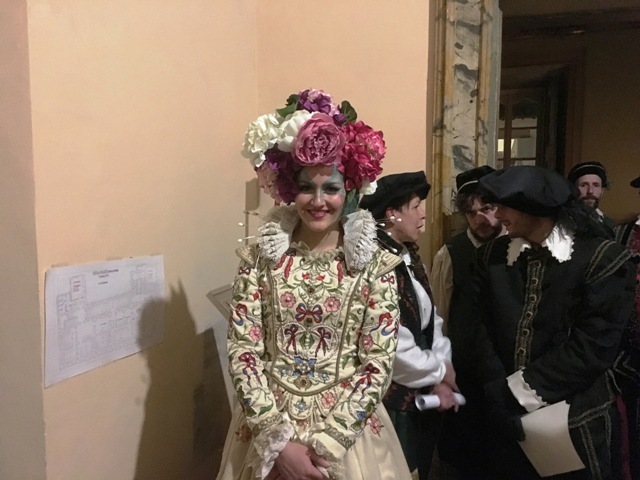 Tonight though, the banquet is in full swing; a veritable army of baroque laden waiting staff, a princely troupe of jesters and actors and an authentic 17th century string and wind orchestra all play their part in a rich tableau unfolding inside the gloriously ancient stones of Palazzo Candiotti. I am loving this. Bring on the pasta course. And as if on cue, they do; a procession of servants carry in a table groaning under the weight of a 17th century version of pasta e brodo. But there is much more to Forligno than just costume drama. This beautiful old town lying in a valley below the Apennine ridge is almost unknown outside of Italy, yet it’s just a stone’s throw from Assisi, a town everyone outside of Italy knows. It is extraordinary that a town with so much to offer has hidden under the tourist radar for so long. 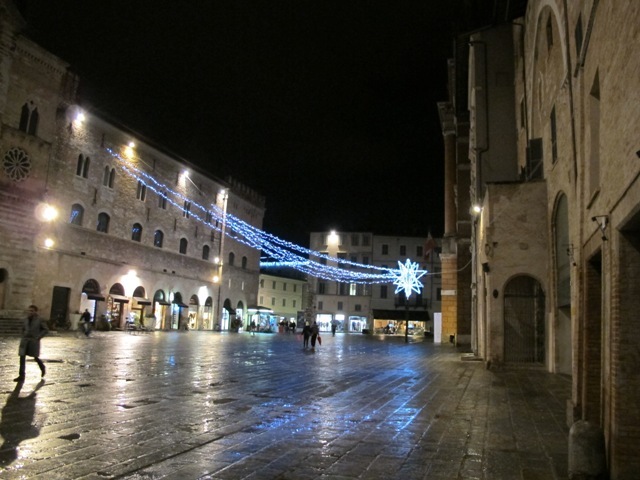 As I walk the old flagstone streets of Foligno a history lesson unfolds before my eyes. Being at the very centre of the country, this was for years, the link between the north and south of Italy. 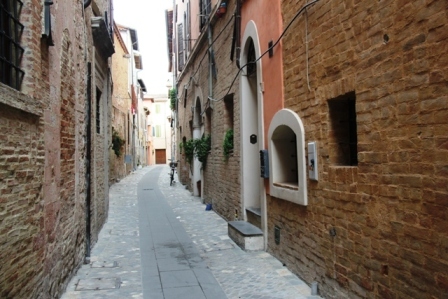 Travellers and pilgrims would pass through Foligno on their way to Florence or Rome. It was the stronghold of the powerful Trinci family whose stunning palace is not to be missed. Decadent art work and frescoes adorn mighty chambers, a sure sign of wealth and power, all beautifully preserved in this extraordinary building. Then there’s the first printing of Dante’s Divine Comedy in 1472, the very first book printed in the Italian language. Who knew? And of course, a bevy of churches and museums packed with antiquity and art, veritable treasure troves for lovers of historical and religious culture. But Foligno also celebrates in other ways too. It is not always about its glorious past, it is also about its glorious pasta! I’m having lunch at Il Cavaliere with Martina Castagnoli, the promoter of another popular annual festival, I Primi D’Itlaia, a glorious celebration of Unbrian pasta. 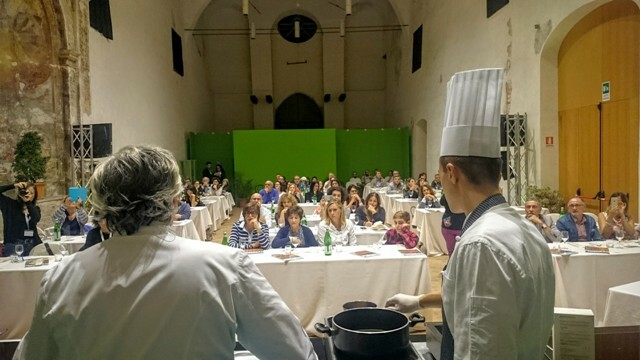 Every September 70 Michelin starred chefs create their favourite pasta dishes and conduct cookery classes in piazzas all over town. Over 120,000 visitors visit the week long event chomping on perfect pasta for as little as €2 a plate. A bargain. 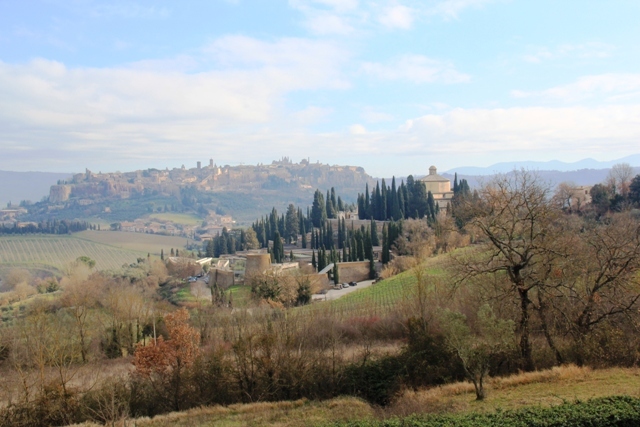 While we are on the subject of food, there’s a foodie legend not far from Foligno in a delightful hilltop town called Montefalco. 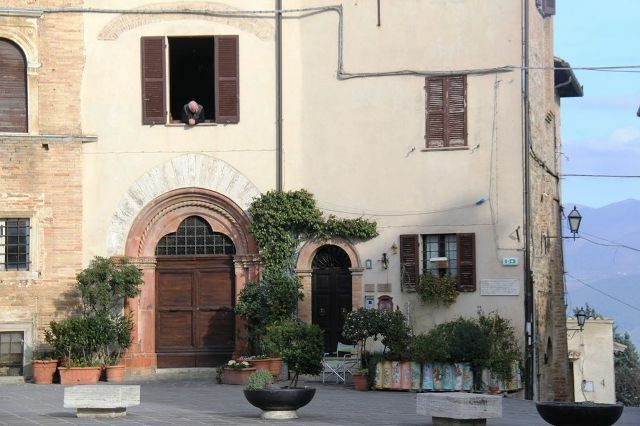 Probably better known for its delicious red wines, Montefalco is also the home of the larger than life Giorgio Barchiesi or Giorgione as he is better known, the town’s very own TV chef. 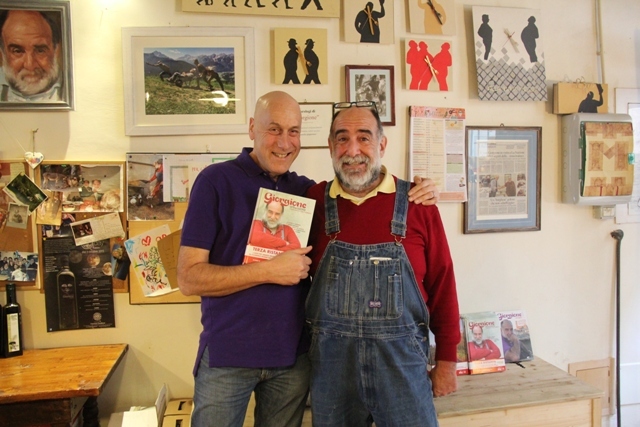 “I am not a chef” Giorgione tells me as we sit together in his rustic restaurant Alla Via di Mezzo, a former flour mill, looking through his latest cookbook. 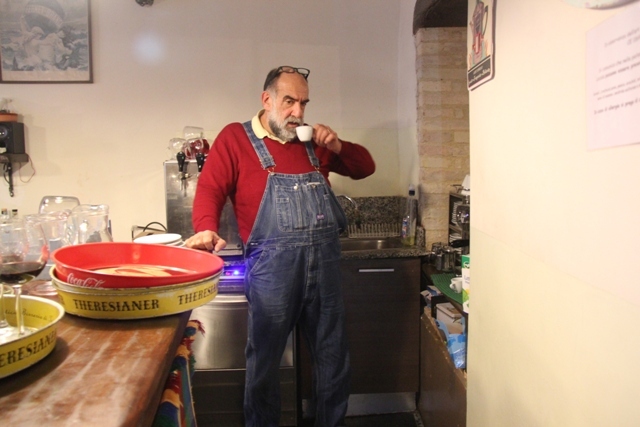 Wearing his trademark denim dungarees he explains ” I just make dishes I enjoy eating from the fresh products I have” and by the looks of his generous girth, he must enjoy quite a few dishes. He is just the kind of memorable host you would want to find in a medieval town like this which of course, just happens to have a masterpiece residing in its museum; the Madonna of the Girdle by Benozzo Gozzoli. 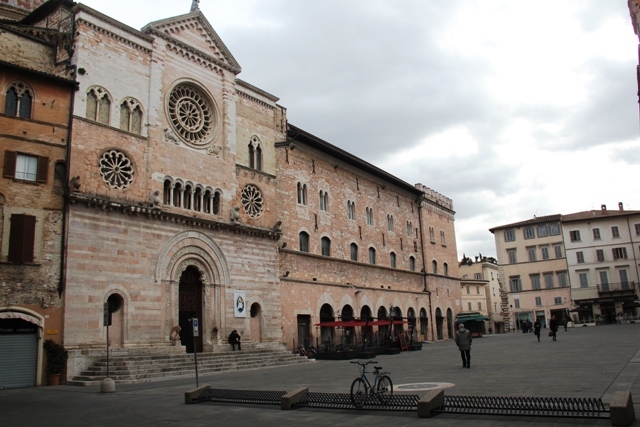 Montefalco is a gem as are Umbria’s many hilltop towns and villages like Spello, Orvieto with its stunning Duomo, and Torgiano to name but a few. Back in Foligno the banquet is drawing to a close and I feel the grand dame sigh contentedly. It has been quite a night, but it’s not quite over as the trumpets sound the grand finale; fireworks outside in the courtyard. I feel the centuries holding hands; baroque and modern day pyrotechnics, a suitable embrace under the circumstances. 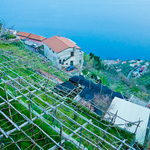 I join with the locals on a slow stroll back, my boutique hotel, the charming Villa dei Platani run by the equally charming Elisa awaits. But I’m thinking more about how I would look on the back of a horse jousting for the Prince’s favour at the nest Quintana. Perhaps I need to buy a few votes in time for next June. Foligno is just a 15 minute drive from Perugia airport or 2 hours from Rome’s Fiumicino, driving through Bracciano, Montefiascone and Bolsena. The Quintana takes place each June and September. The I Primi D’Italia festival is at the end of September. 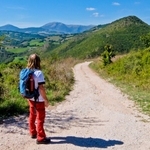 Bespoke tours around Umbria can be booked through Josephine at The Contented Traveller.